Sibu Mpanza gets millennials. Specifically, he gets plus 5K YouTube subscribers to tune in and watch his weekly his videos talking current issues happening in and around the country and anything fun. Sibu has managed to build a career on just sharing videos and takes the conversation further by engaging on Twitter and has recently got verified. 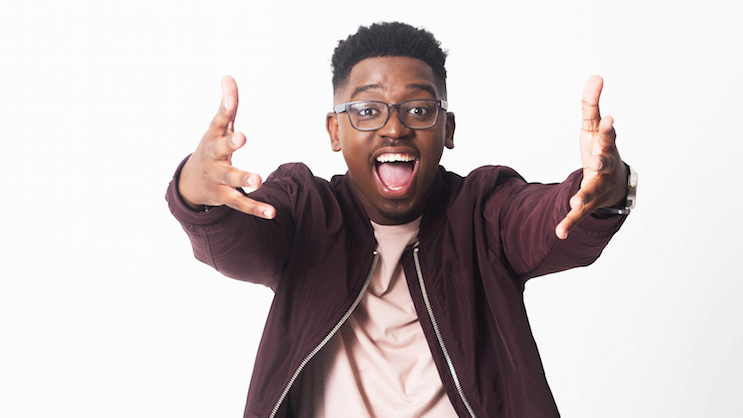 He has recently featured on Mail & Guardian Top 200 list of 2017 and #Kellman20 – 20 Influential Millennials to watch. He was invited to ‘Real Talk with Anele’ to share his views about making money on social media. So how did the journey begin, how does he decide on what content goes or not? How much is he making outta this? How would you explain ‘YouTuber’ to a 10-year old? YouTube is a place full of videos on any topic! If you want to watch pirates, then you can! If you want to watch Minecraft videos, then you can! You can also create your own videos and post them for your friends to see. What inspired the idea of starting to post videos on YouTube? When I discovered YouTube in 2014, it made me laugh and made me very happy. I wanted to pass that onto others, I wanted to make other people enjoy the platform in South Africa. South African content makes itself. I usually talk on current affairs happening that week. My other videos are on topics such as race, class and gender, I get the ideas from my own life and experiences. Do you feel like there is pressure to keep getting more subscribers and more views on your videos? Yes, as any person would, it means I am getting better at my career and growing as a channel and a business. Comments and subscribers. I love the engagement from people who are watching my videos. Yes, I am financially. stable from Social Media Marketing via my Youtube channel and other platforms. Google itself does not pay me enough for me to survive. Definitely, look at Caspar Lee, David Dobrick, Tyler Oakley, Dodie Clarke, I could go on an on. Keeping in mind, making it a career in South Africa is very new so making a killing is a long term game, but I am sure that it is possible if you work hard and smart. I just ignore them. They don’t deserve my time. What is your most frequently asked question and can you answer it? Why did you start a YouTube Channel and How has it become such a success in 2 years. I honestly struggle with the question because I don’t really know exactly what my formula is. I just take it one day at a time, small steps because there are very few people to look up to who are making their Youtube channels into full time careers in South Africa. What is the most exciting thing that’s happened to you since you got Twitter verified? hahaha, I was chosen to be in the #Kellman20 influential millennials to watch in 2017. A full studio where I will have a current affairs talk show on youtube. Working with more brands, more collaborations and job creation for other young black people via my channel. Do: Be authentic, be yourself, tell your own stories before someone else does it. Don’t: Get into it to make money, don’t be discouraged, don’t stop creating.